L.J.A. Miers are the sole UK distributor for Thermobreak® thermal and acoustic insulation for the rail industry. These products meet the highest fire and smoke classification in major International Standards EN 45545-2 (HL3), NFPA 130, BS 6853 and TB/T 3237. 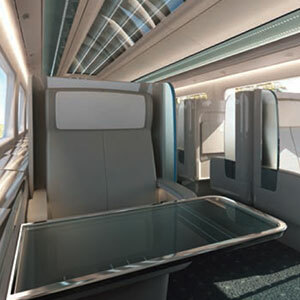 Effective thermal and acoustic insulation maintains a balanced interior environment by protecting passengers from noise and exterior temperature extremes. Thermal insulation of the rail car and HVAC system provides improved energy efficiency thus reducing loads and energy consumption. Thermobreak® is widely used by leading railway builders and HVAC equipment manufacturers globally. Please contact us if you would like more information on any of our products and services.